June is the Month of the Eucharist! 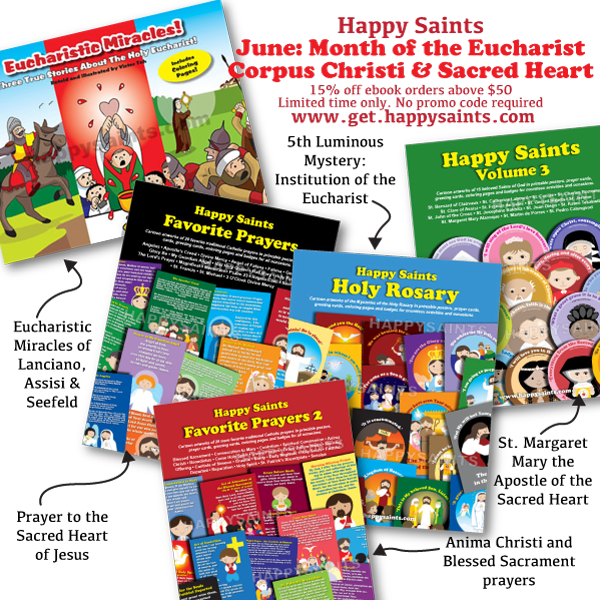 Here are some Happy Saints resources to help you celebrate the Feasts of Corpus Christi, Sacred Heart and other Eucharistic Devotions! Great for Catholic catechists, parents, pastors and teachers.